Since 1963 the gallery Lahumière has been collecting works. So far Anne and Jean-Claude Lahumière are presenting in the las years a large scale of their collection. 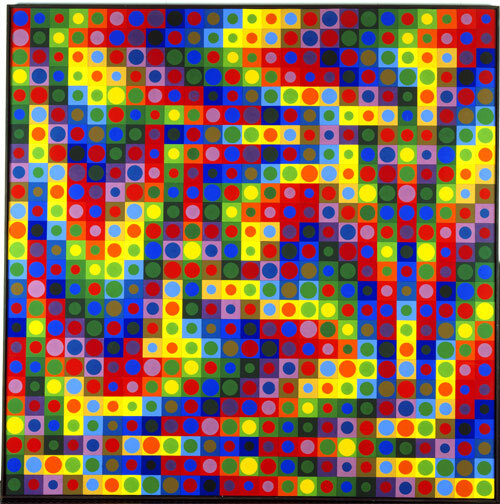 Last year a great retrospective of Herbin’s works, this year a retrospective of Vasarely’s works. Among the collectors Anne and Jean-Claude are certainly a pair of know-how, regarding the abstract constructive tendency from the 20th century. Cahn, Dewasne, Gorin, Herbin, Legros, Magnelli , vasarely and also some young artists : Bauduin, Bézie, Bodde, Coignet, Dubreuil, Gasquet, Jacquier Stajnowicz,Pasquer, Perrot, Pondruel, Popet, Prosi or Stempfel.